• The Colorado prison population is growing rapidly and is now at 23,000. An example of God’s enabling power: less than 5% of inmates who complete a series of Bible correspondence courses while in jail will return to prison while 70% of the general prison population returns. 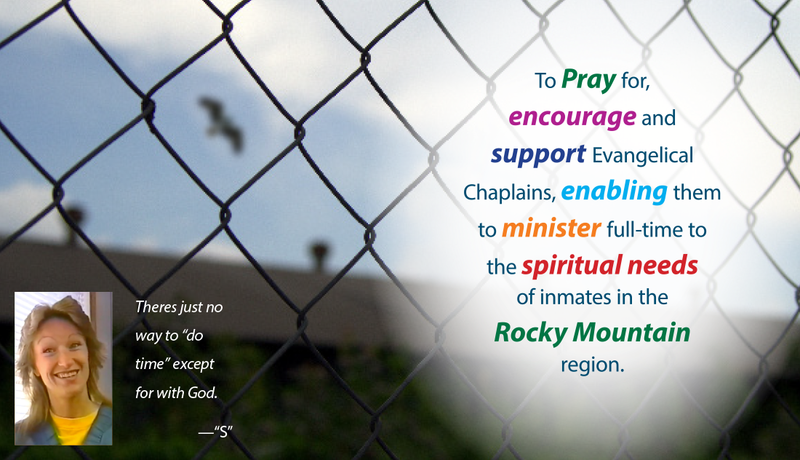 In 1993, the Colorado legislature passed the Long Bill removing seven full-time prison chaplains from the state payroll. That action has removed essentially all evangelical chaplains from state-sponsored prison ministry. © 2013 - 2019 Christian Chaplain Services, Inc.